Barcelona will be the centre of global discussions on resilience! 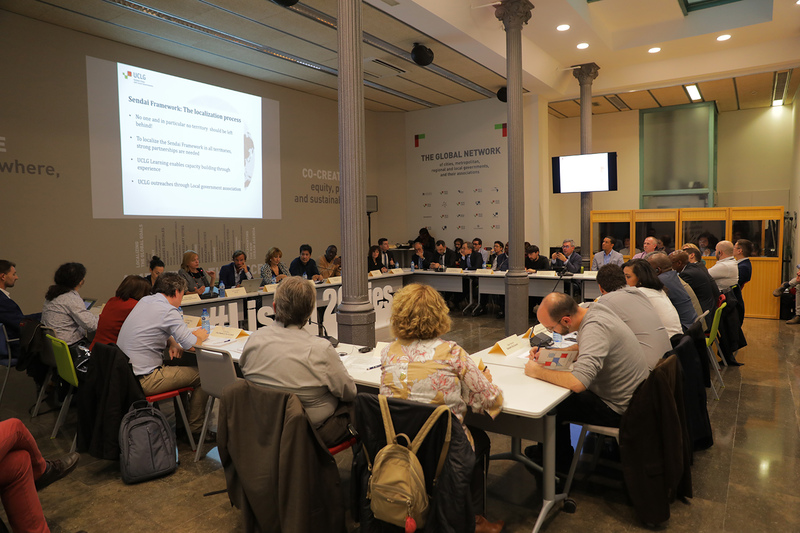 Barcelona Resilience Week is a common space bringing together all partners and stakeholders working on resilience with a strong focus on how to advance awareness and knowledge to action. Drawing on the parallel events taking place in Barcelona that same week (Smart City Expo World Congress, C40 Regional Meeting, among others) Barcelona Resilience Week will showcase a wide array of activities and initiatives from across the world that are making our cities more resilient and strengthening the development and humanitarian agendas. Barcelona Resilience Week will gather key international actors, together with city representatives, governments, NGOs and innovators to share tried and tested approaches to addressing urban challenges and implementing the Sustainable Development Goals, New Urban Agenda, Sendai Framework for Disaster Risk Reduction and Paris Agreement. Barcelona Resilience Week is supported by a number of local and international partners. The opening will provide context to urban resilience through contributions from leading local and national governments working on resilience and international organizations with expertise in urban and risk-reduction challenges. The session will be in English and Spanish with simultaneous interpretation. Gaza is an exceptional social, political and economic space full of extraordinary paradoxes. It is home to 1.6 Palestinians and one of the most resilient societies in today's world. This keynote will address the resilience story of Gaza from a social perspective and the functioning of the city. - Mr. Mohammed Abdalfatah (Al-Halabi), Director of International Cooperation, Municipality of Gaza. 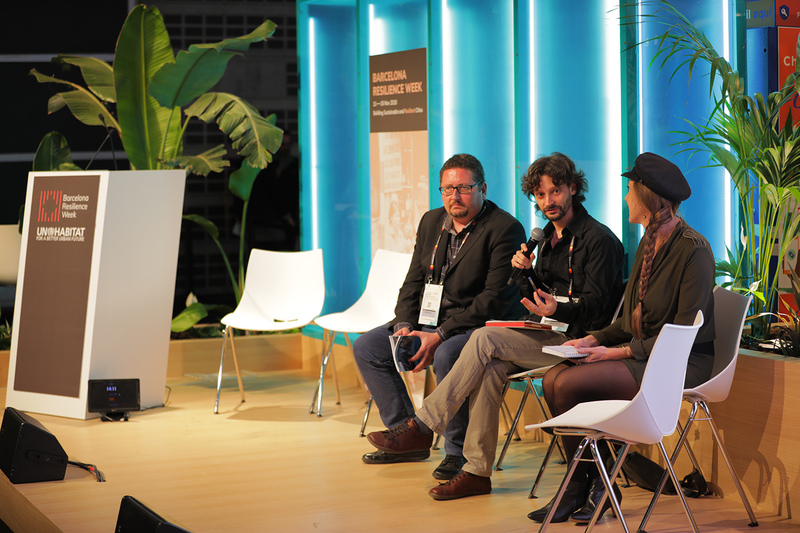 All participants of Barcelona Resilience Week are invited to the welcome cocktail on Sunday 11th November at the Sant Pau Art Nouveau Site, home of UN-Habitat’s office in Barcelona. Prior confirmation is mandatory, please contact info@cityresilience.org to confirm your attendance. From altered weather patterns to rising sea levels and more extreme meteorological events, the bearings of climate change impact on people’s wellbeing and livelihoods in different ways. In a rapidly urbanizing world, promoting effective climate action in cities and recognizing that sustainable and resilient urban development cannot be achieved or sustained without mitigation and adaptation measures is essential. This dialogue will address key concerns, issues and approaches to push forward Climate Action for Resilience. - Mr. Albert Sandy Daniel, Honourable Lord Mayor of Port Vila, Vanuatu. - Mr. Alessandro Attolico, Executive Director, Province of Potenza, Italy. - Ms. Ares Gabàs, Chief Resilience Officer, Barcelona City Council, Spain. - Ms. Laia Romero, Operations and Strategy Director, ISARDSAT - Satellite data for climate action. - Mr. Mikhail Vorobev, Deputy Mayor on Economy and Finance, Yakutsk City Council. - Mr. Stelios Diakoulakis, Deputy Regional Director for Europe, C40. The session will be in English, Spanish and Russian with simultaneous interpretation. 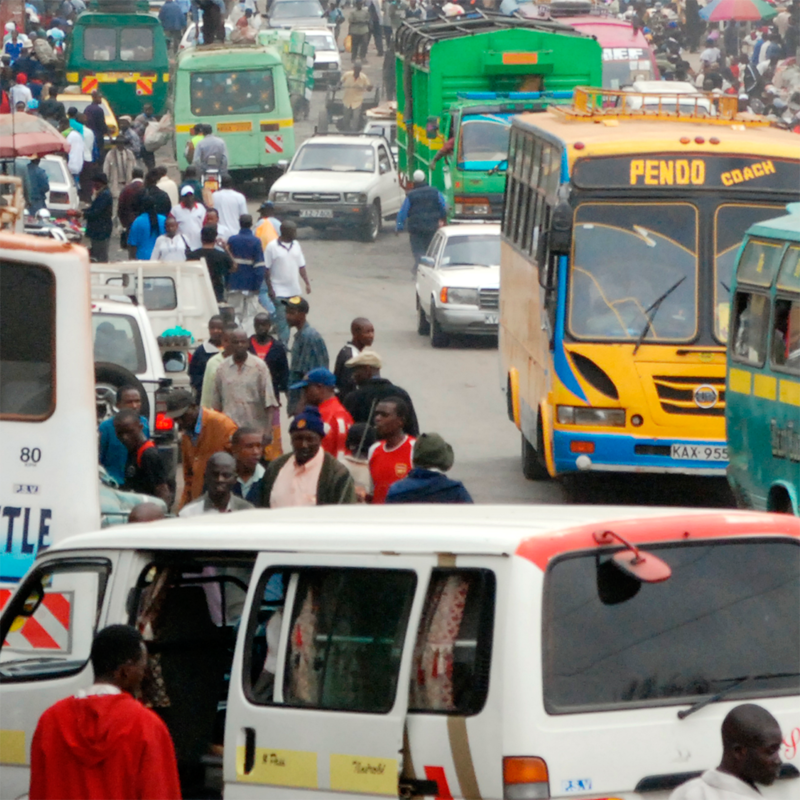 The number of urban residents at risk is increasing as rapid urbanization continues to result in sprawl and/or densely populated informal settlements in hazard-prone areas. 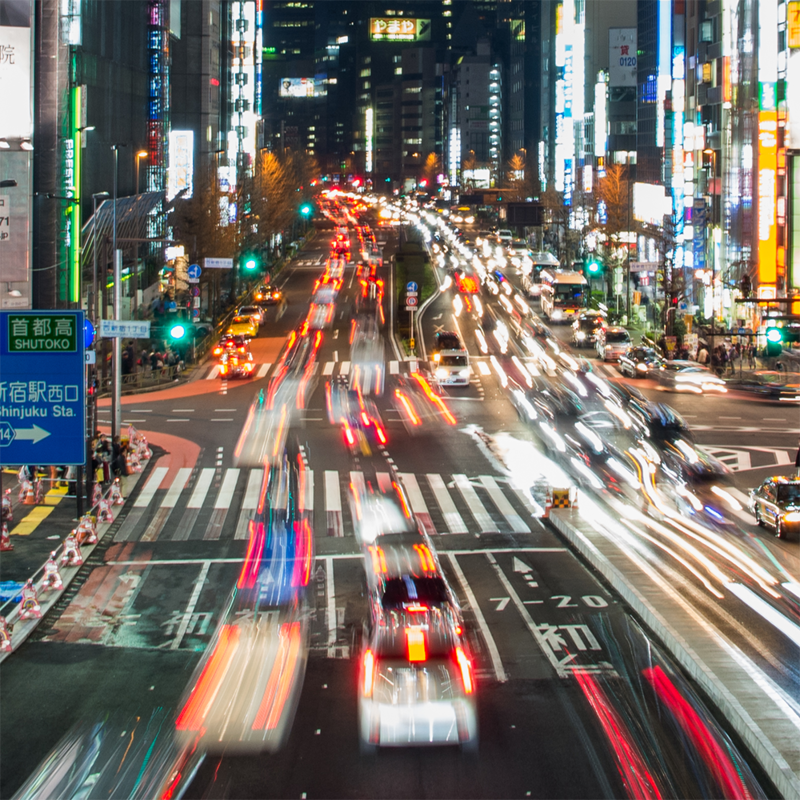 When cities face sudden shocks (natural or human-made), unplanned urban areas are hit the hardest as they often suffer from underlying or pre-existing stresses and there is a shortage of knowledge about the area or how to respond. In cities with high informality, local capacity and resources may not be sufficient to prepare for and react to risk. This dialogue will explore approaches to understand informality from a resilience perspective. -Mr. Musa Kulaklıkaya, Director General of SESRIC (Statistical, Economic and Social Research and Training Centre for Islamic Countries). Ms. Carmen Mendoza, Assistant Director of the Barcelona School of Architecture. UIC Universitat Internacional de Catalunya. This world needs new resilient ideas to cope with today’s major issues. We know this yet inciting new and innovative action is difficult. While most organizations improve, few renew. This session will highlight the possibilities and opportunities offered by Design Thinking. Presentation of the Intensive Programme in Designing Policies for Resilience of the Elisava Barcelona School of Design and Engineering. The programme aims at empowering agents of positive change for contributing to action and impact for a better society. The session will end with a networking cocktail. Analyzing decentralization in terms of local governments responsibilities, planning and financial capacity is key for building city resilience. Local governments have a unique role in promoting, ensuring and maintaining urban resilience as they are responsible for a number of key processes related to the functionality of the city. In many cases, local governments are the first line of response in crisis situations and must coordinate efforts among local and national actors. This dialogue will explore how local governments are working local, regional and national partners to build resilience. The session will be in English and Spanish. * Sessions held in East Agora and CC1 Room will only be accessible for Smart City Expo pass holders. 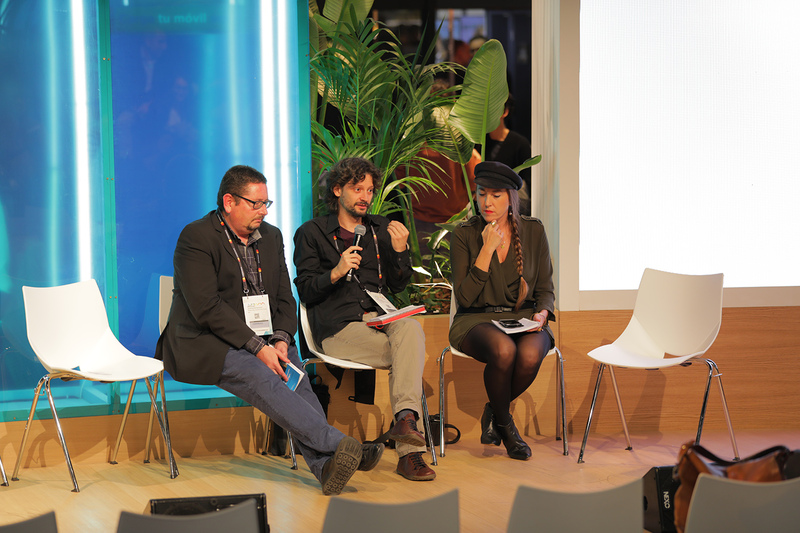 Please contact the Barcelona Resilience Week Secretariat to find out how you can access these sessions. To support cities in developing resilience strategies, the EU-funded Uscore2 project has designed and tested a generic, practical, city-to-city, disaster risk reduction peer review tool for cities across EU member states and beyond via the UNISDR’s Making Cities Resilient campaign. This Masterclass workshop aims to present the results of the project and the mechanism for an independent and transparent assessment, adding clear value to building local and national resilience. It will emphasize the importance of city-to-city peer learning and sharing of best practices. Based on their experience gained through the project, local governments will showcase how the tool can assist cities with the challenge of strengthening their implementation of disaster risk reduction. The Block by Block project is the work of UN-Habitat together with the makers of the hugely popular world-building computer game Minecraft, Mojang. Since 2012, they have used the game to engage communities all over the world — particularly young people, women and slum dwellers – in the design of their local public spaces, and have now reached more than 25 countries. Kenya, Peru, Haiti and Nepal are among the nations to have Block by Block-designed spaces. “Urban Resilience for Risk and Adaptation Governance. Theory and Practice” is the first volume of the book series “Resilient City: Re-thinking Urban Transformation” published by Springer. The Series has been envisioned to analyse the contemporary challenges faced by cities and provide an up-to-date body of knowledge, including a systematic collection of global cutting-edge best practices, fundamental to managing the urban transition toward resilience. This book brings together a series of theory and practice essays on risk management and adaptation in urban contexts within a resilient and multidimensional perspective. The book proposes a transversal approach with regard to the role of spatial planning in promoting and fostering risk management as well as institutions’ challenges for governing risk, particularly in relation to new forms of multi-level governance that may include stakeholders and citizen engagement. 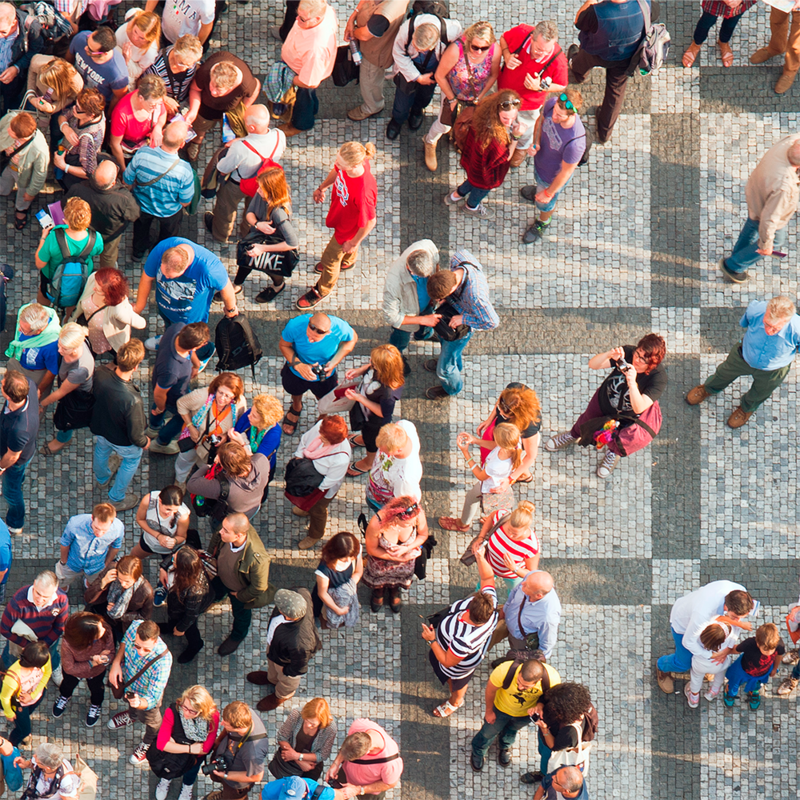 The different contributions focus on approaches, policies, and practices able to contrast risks in urban systems generating social inclusion, equity and participation through bottom-up governance forms and co-evolution principles. - Esteban Leon. Head, City Resilience Profiling Programme (CRPP), UN-Habitat. - Grazia Brunetta. Politecnico di Torino. Interuniversity Department of Regional and Urban Studies and Planning, Responsible Risk Resilience Centre - R3C. - Jordi Morató. Universitat Politècnica de Catalunya. UNESCO Chair on Sustainability. - Nicola Tollin. University of Southern Denmark. Unit of Civil and Architectural Engineering. - Ombretta Caldarice. Politecnico di Torino. Interuniversity Department of Regional and Urban Studies and Planning, Responsible Risk Resilience Centre - R3C. - Mikkel K. Kragh, University of Southern Denmark. Unit of Civil and Architectural Engineering. Building urban resilience takes multiple forms, but must inevitably seek to improve the lives of all people and maintain development gains when cities face shocks, stresses and challenges. The urban poor are exposed to greater risks than their wealthier counterparts and often lose a greater share of their assets or resources in the process. Vulnerable groups such as indigenous populations, women, the elderly and the disabled often lack the necessary safety nets to recover from shocks. This dialogue will focus on the measure necessary to ensure urban resilience measures reach and work for all city inhabitants. - Mr. Emil Boc, Mayor of the City of Cluj-Napoca, Romania. - Mr. Luis Nhaca, Councillor for urban planning and environment, Maputo City Council, Mozambique. The session will be in English. This rapid-format presentation will highlight the potential of Water Operators' Partnerships in addressing resilience, by drawing on real cases from across the globe. WOPs have increased water provision efficiency and water security and have fostered solidarity between operators in emergency situation as recently in the aftermaths of the earthquake in Indonesia. Find out how they can help your city. * Sessions held in East Agora and CC1 Room will only be accessible for Smart City Expo pass holders. Please contact the Barcelona Resilience Week Secretariatto find out how you can access these sessions. UN-Habitat will have a stand at the Smart City Expo (stand E507). Come and meet the team and find out more about UN-Habitat’s work on urban resilience. Resilience lies at the core of the humanitarian-development nexus, bridging two often disparate agendas. Ingraining resilience across the city and in the institutions that govern it reduces risks by increasing capacity. Addressing vulnerabilities in the city decreases fragility and mitigates impacts, hereby enhancing effective and forward-thinking response. This dialogue will explore the shared ground between resilience, humanitarian action and development. Governments, development and built environment stakeholders have increased knowledge to plan and operationalize technical assistance for housing reconstruction to meet the needs of communities affected by disasters and to foster sustainable improvements in housing construction. UN-Habitat and AXA Group re presenting the joint-work on a Guidelines publication addressed to city decision makers on promoting resilient construction. To achieve the extensive list of targets and goals set out for cities in global development frameworks such as the Agenda 2030, Sendai Framework, Paris Agreement and New Urban Agenda, city actors need be given the right tools, knowledge, resources, mandate and expertise for the job. Exchanging voices and experiences between local governments can help transform their capacity to influence, implement and sustain sustainable and resilient urban growth and flag shortcomings or gaps to be filled. The 2030 Agenda acknowledges the invaluable contribution of partnership in achieving its vision and mission, highlights the role of international organizations, the private sector, academia, civil society, and citizens. This dialogue will consider how partners from different sectors and at different scales can and have come together to build sustainable and resilient cities and explore the opportunities for scale-up. After the Dialogue there will be a visit to the Control and electrical network management centre.This visit includes the central headquarters of Endesa, the eParking Office of Endesa’s Central Catalonia Division of Distribution (which includes 30 charging points for electric vehicles), and the Control Centre that manages Endesa’s high-, medium-and low-voltage power grid in Catalonia. Mr. Doudou Mbye, Head of Partnerships and Advocacy of UN-Habitat. This Working Group -which is affiliated with the United 4 Smart Sustainable Cities (U4SSC) initiative, and organized under the UN-Habitat Programme for Digitally Inclusive and Sustainable Smart Cities- aims at advising policy-makers on inclusive digital transition leading up to the next World Urban Forum. For participants of Smart Cities Barcelona World Congress, please register here first and then meet outside the cloakroom. 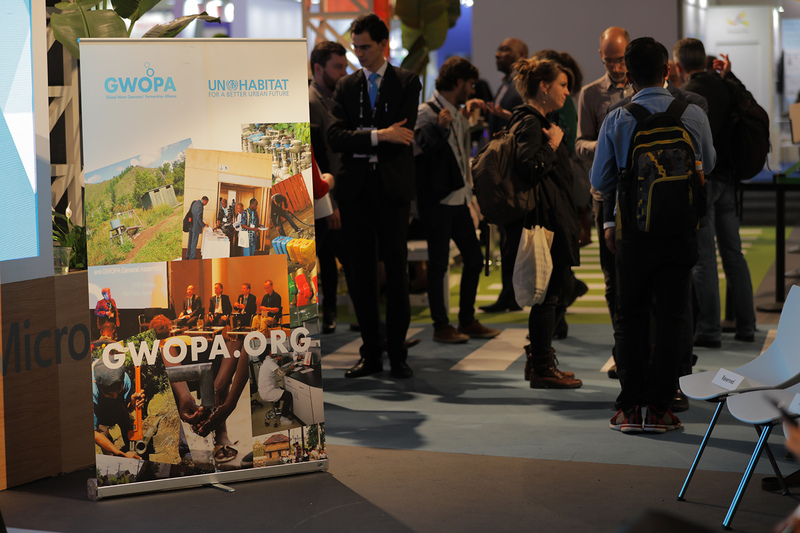 A UN-Habitat representative will be stationed from 13:30h to 14h to guide you via public transport on a site visit to UN-Habitat’s Barcelona offices. As an optional activity, site visits are offered to participants of Barcelona Resilience Week as a unique opportunity to see first-hand successful resilience projects and solutions being implemented in Barcelona. There are two routes available that include three site visits each. A shuttle bus will be provided; departing from Fira de Gran Via (see Venues) at 15:00h and returning to the departure point around 18:30h. Please note that there is a limited capacity of 15 people per bus. Prior confirmation is mandatory, please contact info@cityresilience.org to confirm your attendance. Find more information on the site visits below. The Emergency and Social Urgencies Centre of Barcelona (CUESB) is a permanent local service open 24 hours a day, 365 days a year. For Social Emergencies, it complements the municipal network of basic and specialized social services in the care of people and/or families who present a situation of urgency or high social risk. For Social Emergencies, the aim is to provide immediate psychosocial attention to people who have been affected by: - Critical incidents (traffic accidents, suicide, unexpected death, etc.) when relatives are suffering emotional pain and a quick intervention is needed to avoid post-traumatic stress. - Fires, explosions, floods, preventive evacuations, etc. The professional team is composed of social workers, psychologists and qualified personnel, who are organized in shifts to give permanent attention to the citizens. The visit includes a brief presentation of the service’s evolution, the range of services provided to the elderly and dependents of the city, and the associated technology. The services ensure greater security and safety in households both for the users and their relatives through a warning system that alerts emergency services of risk situations in the user's home. During the visit, the coordination of the telecare services with the Guàrdia Urbana (local police), Barcelona Fire Brigade, Mossos d'Esquadra (national police), Medical Support, etc will be explained. Attendees will be able to learn about the informative campaigns that drive the telecare service to promote active and healthy aging, including a visit to the monitoring centre, where over 3,200,000 calls are managed per year. Superblocks is the urban strategy that Barcelona City Council is implementing to tackle compact city challenges: lack of green spaces, high level of air-pollution and traffic noise, accident rates and sedentary lifestyle. The Superblocks program establishes a new way of organising the city which reverses the current distribution of public areas amongst vehicles and people by defining street networks, providing different street typologies and introducing diverse facilities like resting places and space for citizens’ leisure. 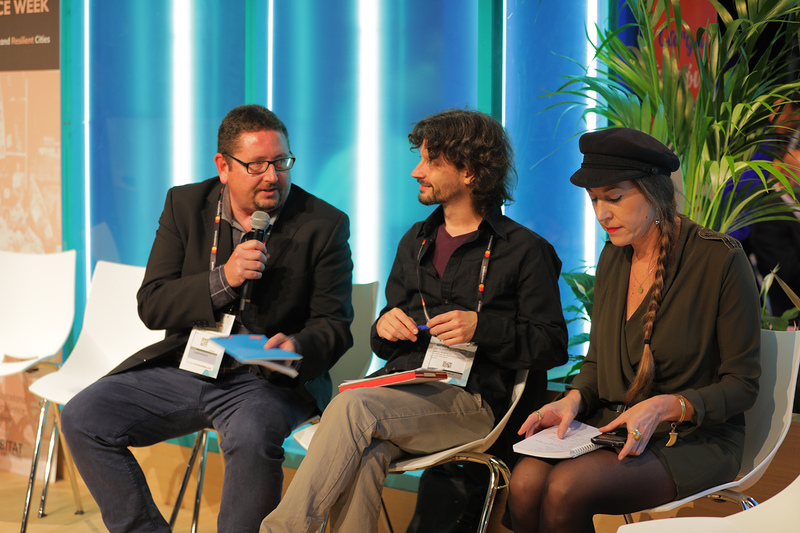 In addition, this program aims at acquiring a more sustainable mobility, a chance to introduce measures to improve biodiversity and a complete involvement of citizens in the design. Barcelona was the first city in Spain to build a DHC system, in 2004, and actively promotes this type of energy supply, especially in new urban areas. Econoenergies Barcelona is a District Heating and Cooling (DHC) based on biomass and cold recovery from a liquefied natural gas (LNG) terminal. It illustrates the potential of DHC (and particularly District Cooling-DC-) in cities with warm weather, where district energy supply is less common than in Northern countries. Ecoenergies Barcelona network is operated through a public-private partnership between Veolia Group (www.veolia.com/en) and the Barcelona City Council (30-year concession) and is gradually expanding in the city. Rainwater retention tanks are large structures, normally buried in the city, where waste water (residual + rainwater) is stored during intense rain episodes, to reduce the flow of water below the reservoir, hereby avoiding that the sewers are overrun or that a large amount of waste water is released to the receiving environment by the overflowing. The detention tank located in the subsoil of Parc de Joan Miró has a total capacity of 55,000m3, equivalent to 22 Olympic swimming pools, and a depth of 17 meters. The former hospital of Sant Pau is the biggest modernist site in the world and an architectural gem. Participants will be treated to a guided visit to discover some of the unique features hidden within the site. Prior confirmation is mandatory, please contact info@cityresilience.org to confirm your attendance. There are two routes available that include three site visits each. A shuttle bus will be provided; departing from Fira de Barcelona (see Venues) at 15:00h and returning to the departure point around 18:30h. Please note that there is a limited capacity of 15 people per bus. Prior confirmation is mandatory, please contact info@cityresilience.org to confirm your attendance. Find more information on the site visits below. Critical incidents (traffic accidents, suicide, unexpected death, etc.) when relatives are suffering emotional pain and a quick intervention is needed to avoid post-traumatic stress. Fires, explosions, floods, preventive evacuations, etc. Homeless people at risk because of extreme weather conditions the professional team is composed of social workers, psychologists and qualified personnel, who are organized in shifts to give permanent attention to the citizens. Barcelona was the first city in Spain to build a DHC system, in 2004, and actively promotes this type of energy supply, especially in new urban areas. Econoenergies Barcelona is a District Heating and Cooling (DHC) based on biomass and cold recovery from a liquefied natural gas (LNG) terminal. It illustrates the potential of DHC (and particularly District Cooling -DC-) in cities with warm weather, where district energy supply is less common than in Northern countries. Deputy Chief, UNISDR Europe & Central Asia. Executive Director of Territorial Planning and Environment at the Province of Potenza, Italy. Mayor of Santo Domingo Este, Dominican Republic. UN-Habitat/GWOPA, Regional Coordinator for Africa, Asia & Arab countries. Head of the Resilience Department, Barcelona City Council. Dean of Research EADA, CEO Iomob, co-founder Six Fingers Spain. Director of Strategy Delivery at 100 Resilient. Assistant Director of the Barcelona School of Architecture. UIC Universitat Internacional de Catalunya. Principal Officer of West Coast International (WCI). Head, Partnerships & Advocacy Branch, External Relations Division, UN-Habitat. City Manager, City of Kisumu, Kenya. Professor, Operations & Critical Systems, University of Manchester. Secretary General, United Cities and Local Governments (UCLG). Head of the City Resilience Profiling Programme, UN-Habitat. Responsible Risk Resilience Centre – R3C Politecnico di Torino. Global Resilient Cities Coordinator and Program Manager. Secretariat Coordinator, Global Alliance for Urban Crises. Former Executive Director of the United Nations Human Settlements Programme (UN-Habitat). Coordinator of the UNESCO Chair on Sustainability at the Polytechnic University of Catalonia. Adviser NORCAP, NRC Expert Deployment. Chief Resilience Officer in Greater Manchester. Operations and Strategy Director, ISARDSAT - Satellite data for climate action. Commander of Civil Protection, Municipality of Amadora. Councillor for urban planning and environment, Maputo City Council, Mozambique. Advisor for Social Affairs, Asuncion City Council, Paraguay. Head of Environmental and External Relations Service BARCELONA WATER CYCLE, S.A. City Council of Barcelona. Resilience Editor & Climate Correspondent, Thomson Reuters Foundation. Deputy Mayor of Yakutsk city, Russia. Head, Civil & Architectural Engineering, University of Southern Denmark. Director of International Cooperation, Municipality of Gaza. Secretary General of the City of Dakar. Professor in Urban Resilience, University of Southern Denmark. Architect, Praia City Council, Cape Verde. Gender Justice and Resilience Advisor at Oxfam. Coordinator in Maputo, Architects Without Borders. IERMB - Institut d’Estudis Regionals i Metropolitans de Barcelona. Deputy Regional Director for Europe, C40. Abhilash Panda is the Deputy Chief for UNISDR’s Regional office for Europe and Central Asia. Prior to this he was the led UNISDR’s global programmes on Urban Risk Reduction and Resilience. Within which he coordinated partnerships, managing and monitoring projects, identifying areas of innovation and providing hands on support to implementing partners. Secretary for Land and Sustainability, Generalitat de Catalunya. Architect from the Architecture School of Barcelona (2005), UPC (Polytechnic University of Catalunya). He is responsible of urban policies in areas such as Urban Agenda of Catalonia, social housing or territorial planning, among others. 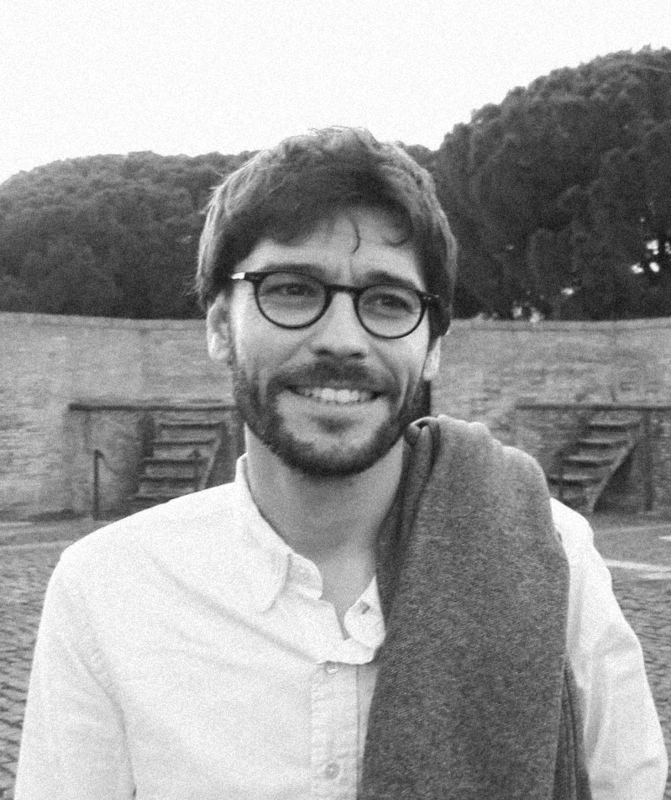 As a local government manager, Alessandro is responsible for orienting political decision-making processes, drawing and implementing plans, programs, projects, actions on territorial and environmental policies at local level and in regional, national, international contexts. He holds extensive expertise and experience in territorial SustDev, DRM/DRR and Climate and a multi-years engagement in decision-making and policy-orienting processes. Among the main achievements, the set-up of the first Civil Protection System for the Province of Potenza (2004) and the drawing of the Provincial Master Plan (TCP, 2013) outlining governmental proposals for broad risk-oriented SDGs implementation over the provincial territory (#weResilient). Based on this, the Province of Potenza is currently playing as UNISDR World Role Model for “Inclusive Resilience and Territorial Safety” (2015), Community Champion “Knowledge for Life” - IDDR2015 (2015), EU Covenant of Mayors for Climate and Energy Coordinator (2016) addressing and coordinating 100 Municipalities with Local Communities. 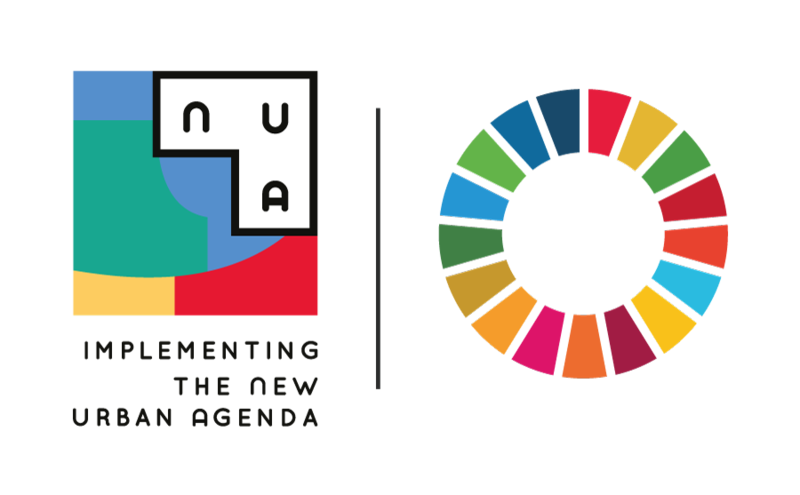 In June 2018, the Province of Potenza has been selected by Cities Alliance among the five global best practices that take an integrated approach to the Agenda 2030 Follow-up and Review (FuR) process. Alexey is a Doctor in Sciences in Physics and Mathematics at RFNC – VNIIEF. From 1981 to 1998, he hold a variety of scientific positions starting from engineer and junior scientist to lead a Research Department at RFNC-VNIIEF. Alexey was the Deputy Director for Industrial Partnership in the Center for International Relation in the Russian Federal Nuclear Center where he was responsible for development co-operation with industrial partners and implementation of co-operative programmes in creation civil jobs for former scientists and engineers, nonproliferation of nuclear weapons technologies and defense conversion, including US NNSA Global Initiative for Proliferation Prevention (Nuclear Cities Initiative, Initiative for Proliferation Prevention) and International Science and Technology Center projects. Since 1995 implemented several projects for Sandia National Laboratories, Lawrence Livermore National Laboratory, Los-Alamos National Laboratory, Kansas City Plant, International Atomic Energy Agency, International Science and Technology Center, US DOE Initiative for Proliferation Prevention and Nuclear Cities Initiative. Alfredo Martínez started his political career as a deputy in the Dominical Liberation Party “Partido de la Liberación Dominicana (PLD)”. He was president and member of the Commission of Electoral Affairs, member of the Finance Commission and the commission of Dominicans Abroad. Regarding its legislative activity, it can be said that it has placed more emphasis on the areas of Public Contracting, Sports and Recreation, Cooperatives and Non-Governmental Organizations. He created the "Community Initiative Foundation (ICO)", whose social work focuses on providing computer, office and English training to young people in the community through the Juan Antonio Valdez Training Center. 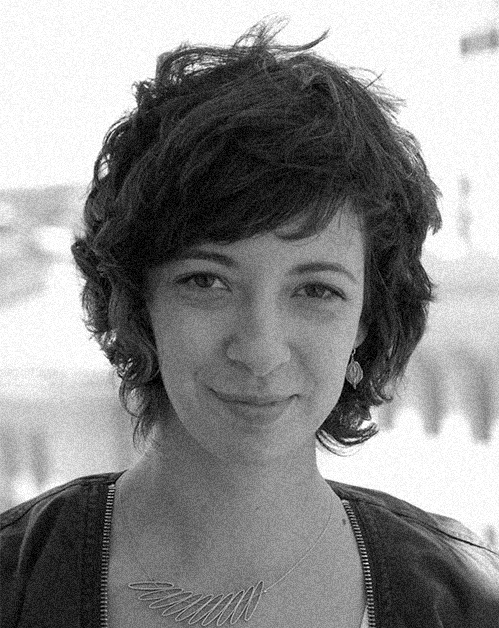 Anamaria Vrabie is an urban economist and local development professional. She holds a BA from the Academy of Economic Studies in Bucharest and an MA in International Affairs as a Fulbright Scholar at The New School New York. She is a member of several international networks, including Global Shapers of the World Economic Forum and BUILD of the German Marshall Fund. In the past 8 years Anamaria consolidated organizations and new modes of action for urban and regional development practice in Central and Eastern Europe, acting as co-founder the company MKBT: Make Better and lead expert for the URBACT program and the World Bank. Her work has led to urban development plans, concepts and frameworks for urban regeneration, educational programmes and new funding mechanisms for urban innovation. Currently, she is Director of Cluj 2.1| The Innovation Fund, a mechanism for supporting urban innovation in the area of urban mobility, housing and future of jobs. Anne Bousquet is a French national, Urban Planner, who holds a PhD from University La Sorbonne in Paris on institutional reforms of the water sector in East Africa (Kenya, Tanzania, Zambia) and the impacts for the Poor. She worked as a consultant for the French Development Agency on city planning issues in Kenya and then joined UN-Habitat/GWOPA in 2009. As the Regional coordinator for Africa, Asia and the Arab countries, she works on capacity building for water utilities through peer-to-peer support. Professor of Operations and Critical Systems at the University of Manchester. Chairs ISO TC292 Working Group 5 on Community Resilience, wrote ISO22319 on involving spontaneous volunteers in emergencies, and works extensively with overseas governments. Has a PhD from Strathclyde University (UK) and a DSc from Warwick University (UK). 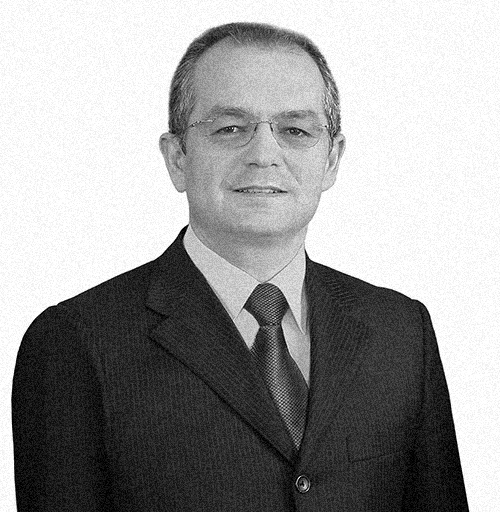 Major in Law and also in History and Philosophy, Emil Boc has a Ph.D in Political Science and Political Philosophy. Mr. Boc was the president of the Democratic Liberal Party (December 2004 - June 2012). He served as Prime Minister of Romania from December 2008 to February 2012. He is a member of the American Political Science Association since 1994 and a member of the Romanian Society of Political Science since 1999. 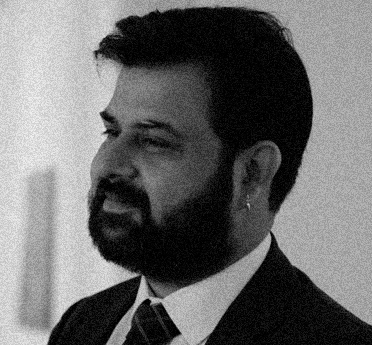 At present, he is an associate professor at the Faculty of Political, Administration and Communication Science, Babeş-Bolyai University, Cluj-Napoca. In 2017 he was awarded by the European Commission and Open Innovation Strategy and Policy Group with the prize for ”Creating a Strong Innovation Landscape”, during the Luminary Award Gala of the Open Innovation 2.0 Conference. 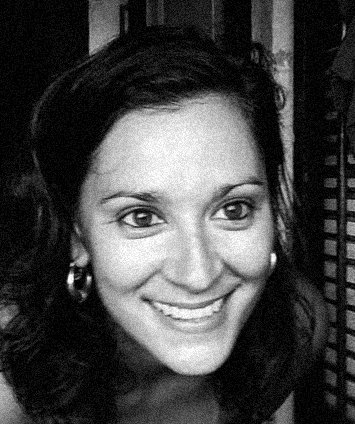 Emilia Saiz studied European Studies and Law, specializing in International Law with a master’s degree in Local governance in the Information Society. 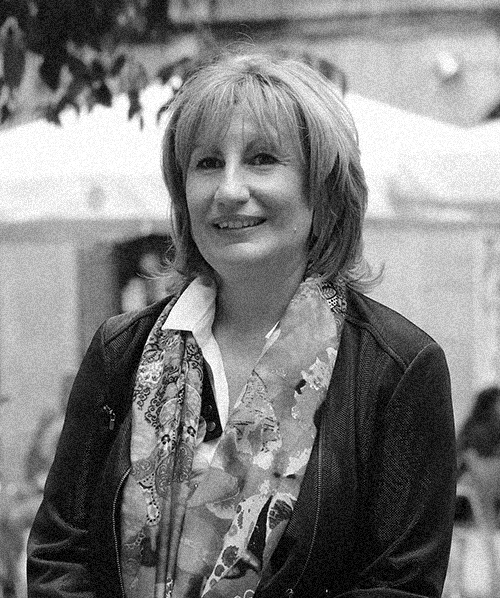 She has worked in the founding organization of UCLG, IULA, since 1997. She has led programmes dedicated to institutional capacity building, women’s empowerment and decentralized cooperation. She is currently Secretary General of United Cities and Local Governments (UCLG) and Co-Chair of the Gender Programme of Cities Alliance. She also facilitates the Global Taskforce of Local and Regional Governments and the inputs of the constituency to the UN process. 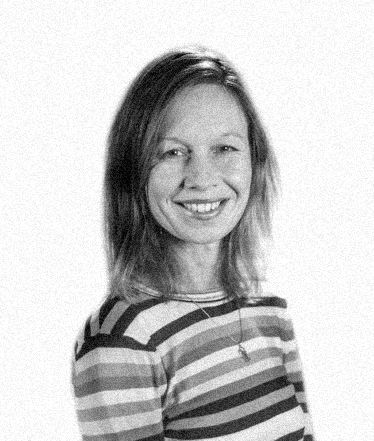 Dr Kathryn Oldham Chief Resilience Officer in Greater Manchester The Chief Resilience Officer in Greater Manchester, Kathryn heads up the city region’s participation in the 100 Resilient Cities programme and United Nation’s Making Cities Resilient campaign. Coordinator of the EU-funded UScore2 peer review project, she is also responsible for a specialist unit delivering disaster risk reduction and emergency response services for Greater Manchester’s ten local authorities. 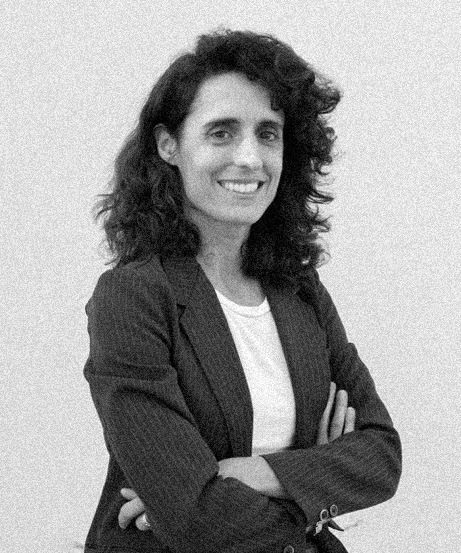 Laia Romero is isardSAT Group Director of Operations and Strategy. 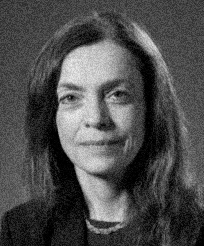 She is responsible for the Earth Observation Services Unit, and her work focuses on satellite data and artificial intelligence for climate action. Over the last 13 years she has worked extensively in Earth Observation with radar technologies, in the development of applications, deployment and execution of environmental services to support the implementation of legislation for governments and international corporations, and has contributed as a research scientist to several new satellite mission studies for the European Space Agency. Joined the Municipality of Amadora in April 2005 and since then leads projects related to emergency procedures, awareness programs and risk assessment processes. Currently is the Local Focal Point (Amadora) and the National Advocate (Portugal) for “Making Cities Resilient Campaign” (UNISDR). Has a degree in geography and a master degree in urban planning and risks by New University of Lisbon. He is architect and physical planner graduated by the Eduardo Mondlane University. 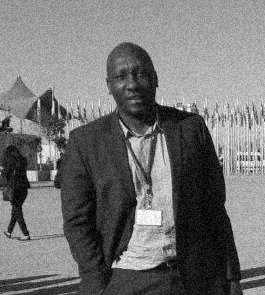 He currently works as city councilor for urban and environmental planning in the Maputo municipality and is responsible for the development and implementation of urban and environmental plans, including the elaboration and implementation of the integrated strategy of intervention in informal settlements of Maputo city. He coordinated one of the components of PROMAPUTO (Maputo municipal development program) financed by the World Bank. 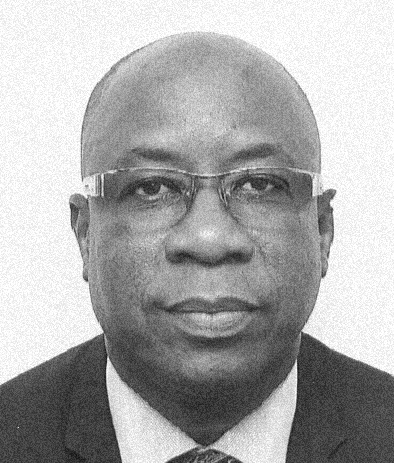 He has served as director of the facilities management office of the eduardo mondlane University with responsibilities to ensure the maintenance and extension of the university campus and the implementation of the rehabilitation and construction projects financed by the World Bank, BADEA and BAD. 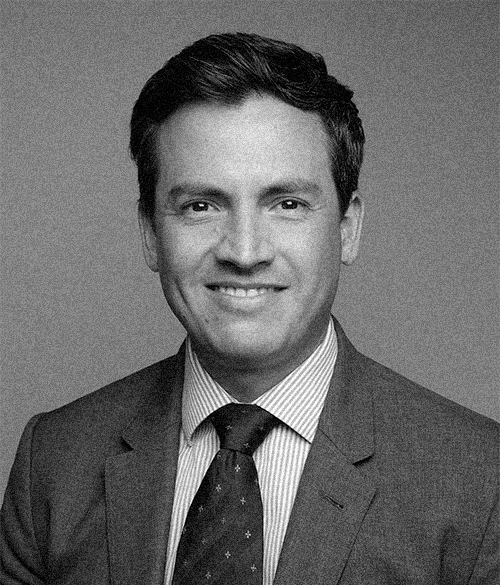 Marcos is an expert in the statistics area with a background of planning, design of surveys and censuses, sampling, construction of bases, indicators and social variables. He is the current planning advisor of the Risk and Disaster Management Department of the Municipality of Asunción. 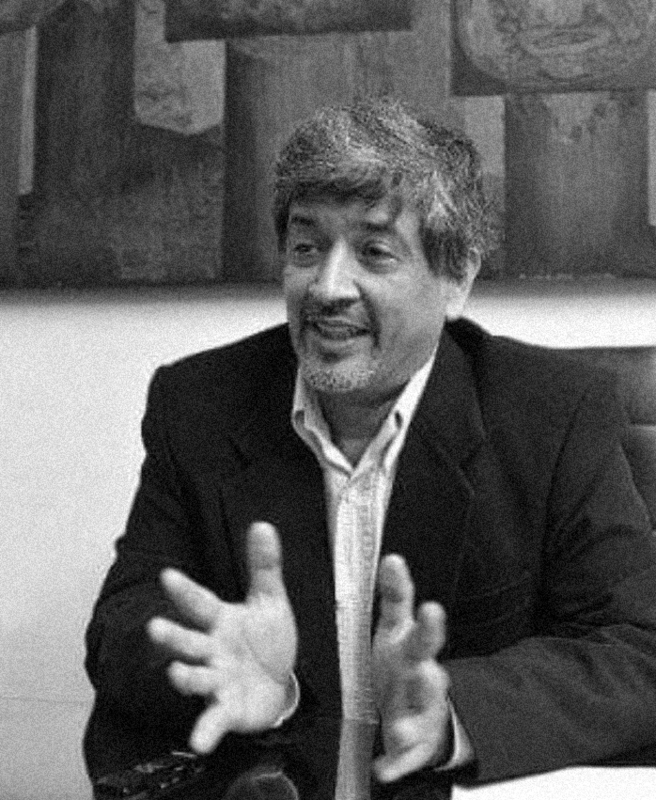 Previously, he coordinated and planned the relocation of victims to temporary shelters due to flooding of the Paraguay river in 1983, 1992, 1995, 2015 and 2018. 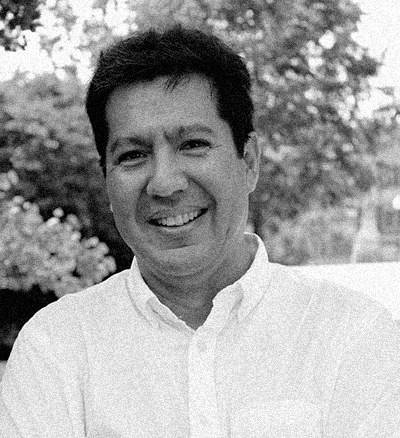 He participated in the technical department for the Urban Master Plan for the City of Asunción (1995) and its update in 2017, and for the Asunción Strip from 1993-1995. He has developed different statistical studies related to People Management Index, the situation of children, teenagers and women in Paraguay, etc. Also, he coordinate a variety of censuses in rural communities of the Department of San Pedro and in indigenous communities of the Jejui river Basin, Ache ethnic group. Graduate in Agronomic Engineering by the Polytechnic University of Catalonia UPC (1996); Postgraduate in Environment, Landscape and Urbanism by the University of Catalonia (2004). 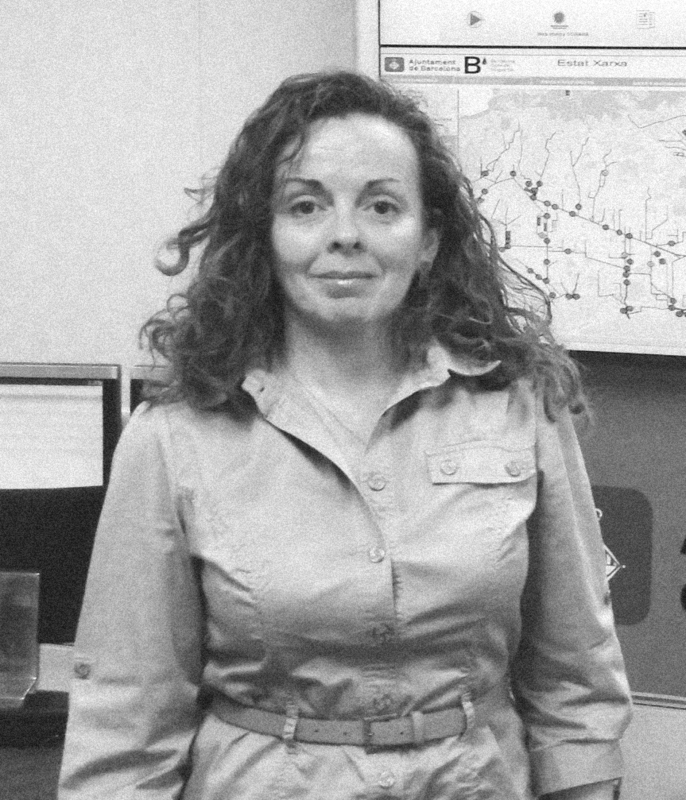 From 1992 to 2007 she worked as a project manager in sustainable building and urbanism engineering. Since 2008 she works for the City Council of Barcelona. From 2008 to 2013, as project manager of alternative water resources in the City of Barcelona, developing and implementing the Master Technical Plan for Alternative Water Resources, to improve the sustainability and resilience of Barcelona. Since January of 2014 she works at Barcelona Water Cycle, the public company of the City Council of Barcelona for the Urban Water Cycle Management. Megan is a text, online and broadcast journalist with more than two decades of experience, based in Barcelona. For the past two years, she has led the growth of Zilient.org, a news and community website for global resilience practitioners, in partnership with The Rockefeller Foundation. She has worked with the Thomson Reuters Foundation (TRF) since 2005, specialising in humanitarian and sustainable development issues. She initiated TRF’s climate change coverage, which has expanded into an award-winning news service delivering content to Reuters clients and beyond. Megan has an MSc in development management. In 2016, she won a U.N. Foundation award for coverage of disaster risk reduction and climate change. Has degree in Law and Professional retraining diploma in Municipal Management. He has worked as inspector of the personnel department, teacher of legal disciplines, also has experience in working in energy distributing company. Starting from 2007 has worked in different departments of Yakutsk City Administration. Since 2012 Manager in housing and utilities managing company and since 2018 Deputy Mayor in Economy and Finance. Head of Civil and Architectural Engineering at University of Southern Denmark. Professor Kragh is MSc PhD CEng MASHRAE MCIBSE FSFE. 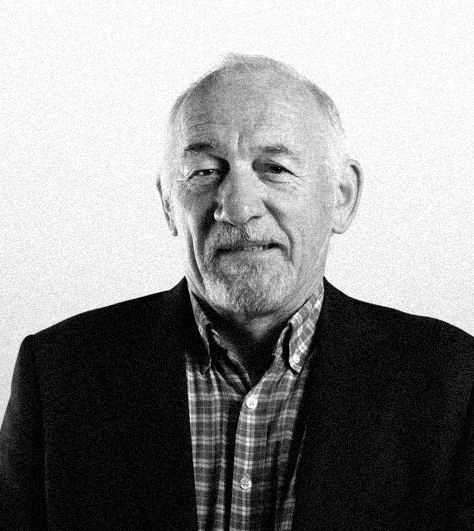 Having held various positions spanning education, research, specialist contracting, specialist consulting, and manufacturing, he has unique insight into high performance buildings and the construction sector. 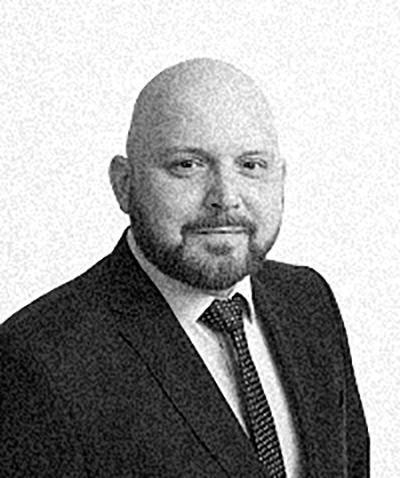 In 2014, Mikkel was awarded the CIBSE Silver Medal for outstanding service to the Chartered Institution of Building Services Engineers. Mohammed Abdalfatah currently serves as the Director of International Cooperation at the City of Gaza since 2003. He is responsible for establishing and promoting relations between Gaza City and foreign cities and maintaining extensive range of contacts with donor agencies and international organizations. 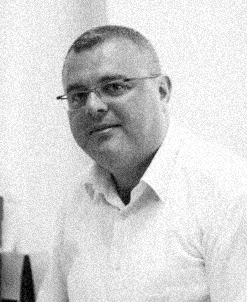 Mohammed was previously a Desk Officer at the Eastern European Department at the Ministry of Planning and International Cooperation, focusing on relations between the Palestinian Authority and Central and Eastern Europe. Working for extended time in the field of international cooperation in Gaza, within a local context, has given him experience of the impact of the conflict on people’s daily lives during different political realities. Mohammed holds a Post-Graduate Diploma in Management of Local Development from the International Training Centre, International Labour Organization in Turin and earned his B.A in German Language and Literature from Ain Shams University in Cairo, Egypt. He was a full time Visiting Research Fellow at King's College London, UK in 2014. He is the Secretary General of the City of Dakar. In this capacity, he is responsible for executing the Mayor's and Council's strategic directions and coordinating municipal services. 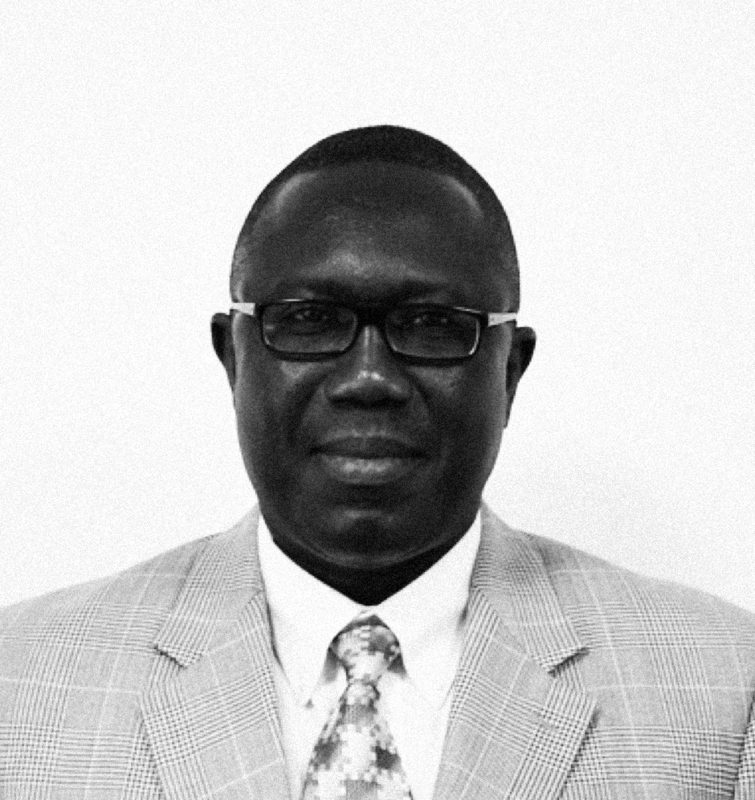 Mr. GUEYE holds an MBA from the Université du Québec à Montréal and a Master's degree in Information Science from the Université de Montréal (Canada). He has extensive experience in organizational management, information technology and urban service management. Its main challenges are related to the realization of the important projects and programs of the City of Dakar, particularly in the areas of street lighting, road and street paving, social and cultural programs. The current challenge is related to the implementation of new technologies in the management of urban infrastructures, services to citizens and the performance of the municipal administration. Born in Konya, Turkey; Musa KULAKLIKAYA studied Business Administration at Ankara University Faculty of Political Science and obtained his Master’s degree from Karadeniz Technical University in the field of Finance. He pursues his doctoral degree at Necmettin Erbakan University in Konya, Turkey. He speaks English and Arabic as well as his mother tongue, Turkish. He started his professional career as an expert at the Turkish State Railways (TCDD). Following this, he started to work as candidate district governor at the Ministry of Interior. After completion of the training period, he served as district governor and deputy governor in different provinces and cities of Turkey. In 2004, he took office as the Vice President of Turkish Cooperation and Coordination Agency (TIKA). After holding this post for 3.5 years, Mr. KULAKLIKAYA was appointed as the President of TIKA where he undertook significant international development projects. He focused on regional development projects mainly on infrastructure development, sustainable agricultural production, irrigation systems, health, vocational education training, capacity building programmes in public sector and humanitarian aid. Majority of TIKA-funded projects were implemented in cooperation with local authorities and NGOs both in Turkey and in the beneficiary countries. Moreover, he enhanced collaboration with international partners including Islamic Development Bank (IDB), World Bank, United Nations Development Programme (UNDP), Food and Agriculture Organization of the United Nations (FAO), Economic Cooperation Organization (ECO) and Statistical, Economic and Social Research and Training Centre for Islamic Countries (SESRIC). He was awarded the “ECO Prize” and FAO’s “World Food Day Award” in 2010. In 2011, he was assigned as the Ambassador of Republic of Turkey to Islamic Republic of Mauritania where he coordinated food security, drinking water and health projects in cooperation with Turkish NGOs and TIKA. Mr. KULAKLIKAYA has authored “Turkey as a New Player in Development Cooperation” (Insight Turkey, 2010- with Dr. Rahman Nurdun) and “Latest Global Trends in Development Aid and TIKA” (Kalkınma Yardımında Dünyadaki Son Trendler ve TİKA) (Uluslararası Sorunlar Dergisi, 2011).After having been designated as Director General of SESRIC, H.E. Amb. 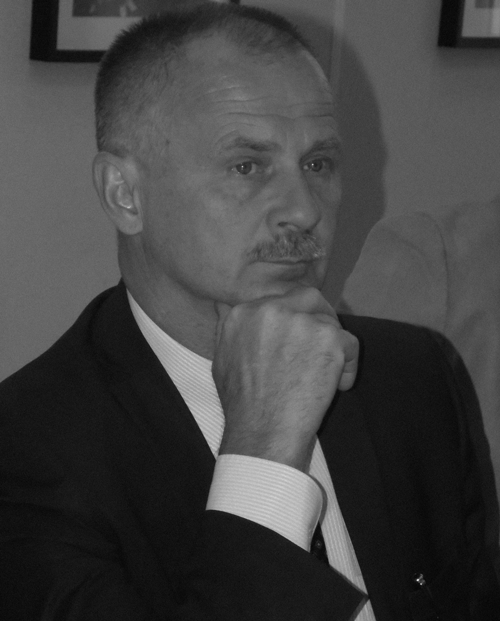 KULAKLIKAYA took office as of 27 March 2015. 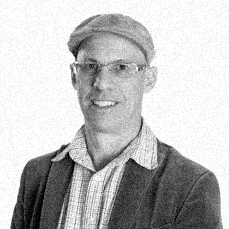 Dr Nicola Tollin is Professor with special responsibilities in Urban Resilience at University of Southern Denmark, and Executive Director of RESURBE International Program on Urban Resilience, led by Recycling Cities Network RECNET, which he co-founded. He has 20 years of international experience in research, capacity-building, education on sustainable development, resilience, climate change, circular economy and innovation focusing on cities and regions. He has coordinated/participated in urban development projects worldwide, including 13 EU funded, in several countries including Colombia, Philippines, Argentina, Chile, Mexico, Brazil. 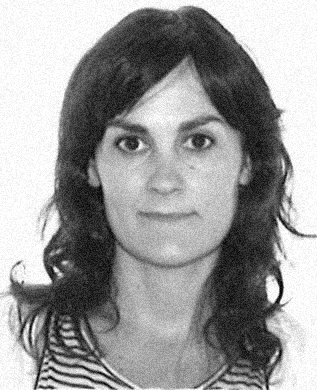 Ombretta Caldarice, PhD in Spatial Planning and Urban Development, is Post-Doctoral Research Fellow at the InterUniversity Department of Regional and Urban Studies and Planning, Politecnico Torino (Italy). Her research activity mainly focuses on the relationship between spatial planning and regulation. Within the Responsible Risk Resilience Centre - R3C of the Politecnico di Torino, her research activity is focused on the role (and limits) of planning in complex and adaptive systems. From 2013 to 2017 he was the Urban Management Director of Praia City. 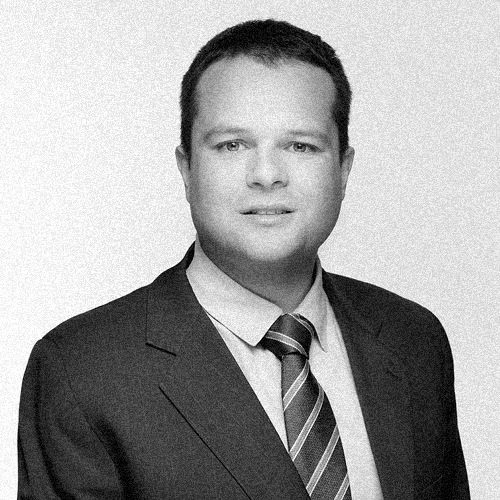 Previously, he had experience in the private sector in Tecnicil Construções as a Chief Project Management Office in the execution of Urbanization on Sao and Santiago islands, Cape Verde. 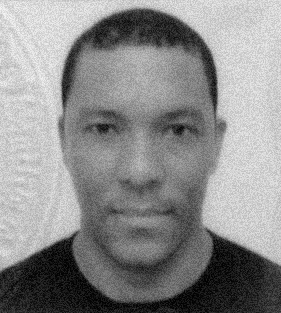 From 2007 and 2013 he developed several projects in the area of Architecture and Urbanism in Cape Verde islands, Brazil and Sao Tome e Principe. Head of the Resilience Department under the Infrastructure and Urban Coordination Management of Barcelona City Council since November 2013. Responsible for the development of the resilience strategy and project implementation carried out through of the Resilience Boards (TISU). With a background in architecture and public space design, has been working for the municipality of Barcelona since 2006. Before joining the Resilience Program in September 2012 was previously engaged to the 22@ District transformation project, an integrative urban renewal process of the former industrial area of Barcelona.Architect from the Architecture School of Barcelona (2005), UPC (Polytechnic University of Catalunya). Previous working experience include working for several architecture and landscape architecture studios mostly focused on the development of urban transformation and public space projects. Aslihan Albostan was born in 1982 in Ankara, Turkey. She recieved her BSc degree in Civil and Environmental Engineering from Istanbul Technical University. She had her master and Phd studies in the same university on Energy Management. During her graduate studies; she worked as a Research Assistan in Energy Institute in Istanbul Technical University. After obtaining the PhD degree, she worked for Georgia Institite of Technology as a Visiting Scholar and carried out a research on Population Models on Urban and Rural Migration. Then in 2017 She worked for Near East University in Cyprus as an Assitant Proffesor. She is currently working for UNDP Istanbul International Center for Private Sector in Development. She has several international publications. INAT University Graduate in Environmental Engineering. Key member of the GIS unit team, ensuring data quality and information coherence of the Libya Rapid City Profiling project in six cities. Prior to that, Asma has been part of the UN humanitarian missions in Libya for three years and participated actively in the international efforts of monitoring needs and priorities across Libya through the DTM-at International Organization for Migration and MSNA- at United Nations Population Fund assessments. Boyd Cohen, Ph.D., is an urban strategist focused on the areas of urban innovation, entrepreneurship, smart cities and the Internet of Mobility. 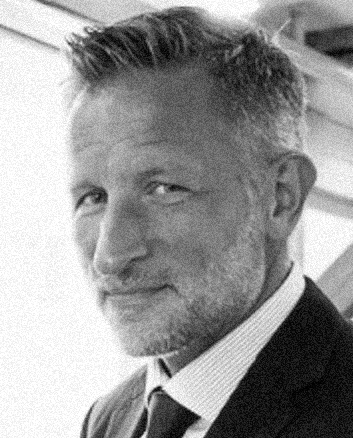 He has published 3 books (Climate Capitalism, 2011; The Emergence of the Urban Entrepreneur, 2016; Post-capitalist Entrepreneurship, 2017). He is Dean of Research at EADA Business School and jointly appointed at UVic. He is also a Fellow at the Singapore University of Social Sciences in their Fintech and Blockchain group. In 2017, he co-founded iomob, a blockchain startup seeking to decentralize the mobility sector by providing an open protocol for the Internet of Mobility (IoM). He is also the current Executive Director of the Blockchain Cities Alliance. 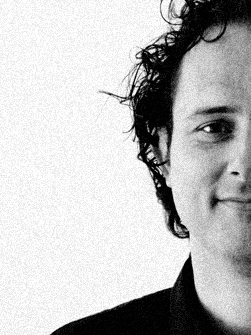 He is an urbanist and designer with a background in architecture and social sciences. He trained as architect at the Pontifical Catholic University of Chile and obtained a MSc in City Design and Social Science at the London School of Economics. He is currently a PhD Candidate in Human Geography at University College London. 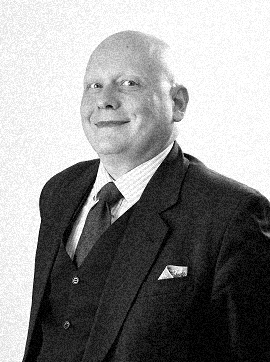 His professional experience in cities includes major urban plans in Asia and Europe; strategic advice for planning, sustainability and development projects in Argentina, Brazil, Chile, Colombia, Haiti, Malaysia, Panama, Peru, Singapore, Spain, Netherlands, Nicaragua, Trinidad & Tobago, Turks and Caicos; and international organisations including UN agencies, International Federation of Red Cross and Red Crescent Societies, Cities Alliance and the Rockefeller Foundation.Prior to joining 100 Resilient Cities he was part of Arup International Development where he coordinated the development of the City Resilience Framework and City Resilience Index. In his current role he leads 100RC’s Strategy Delivery unit which provides technical assistance to cities, Chief Resilience Officers and external partners during the development of their resilience strategies and their implementation. Architect. PhD in Urban Design and Planning. 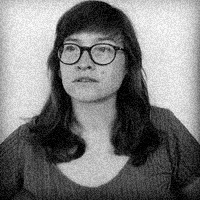 She combines teaching and research on design processes which incorporate a socio-spatial approach and the needs of local communities. 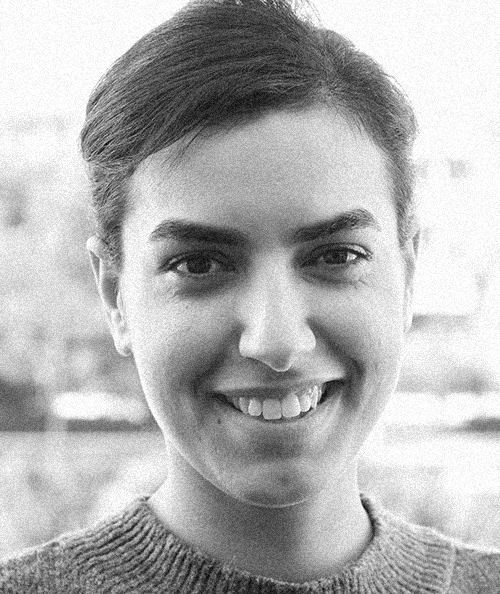 Recently her research encompasses reconstruction and urban resilience in the field of emergency architecture and post-conflict situations. In this line she is supervising research and focusing on methodologies for the physical and social integration of refugees. 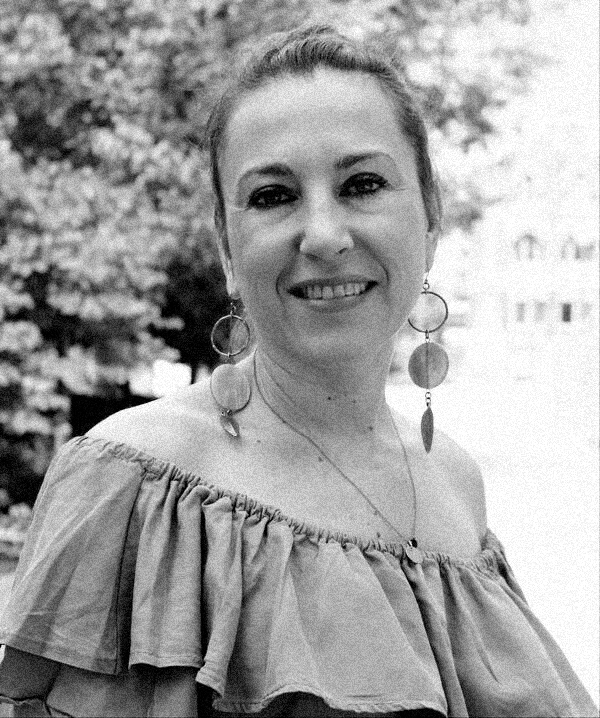 She has developed plans, projects and research in the Metropolitan Region of Barcelona, and informal settlements in Latin America. Previously, since 1997, he held both field and headquarters functions in UN-Habitat. He was posted in Somalia, Kosovo, Nairobi and Barcelona and managed the global portfolio of disaster and conflict and implementing the global Urban Resilience Programme. 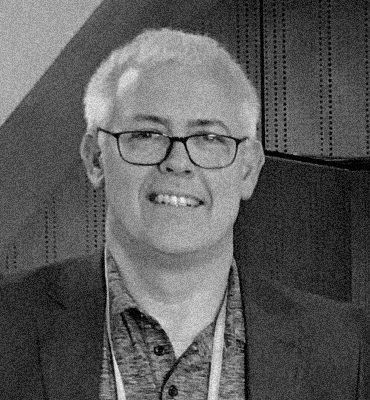 As a civil engineer and private consultant, he worked in urban development, reconstruction and housing programmes in South Africa and Chile as well as with First Nations communities in his home region on Vancouver Island, Canada since 1987. WCI is currently working with universities in the UK and Spain, the UN in multiple cities addressing urban resilience, and with NGO partners in several countries on programming related to climate induced displacement, and a legal and human rights review of housing, land and property rights in Nepal following the 2015 earthquake. Mr. Doudou Sulayman Mbye obtained his BA (Hons) in Geography at Fourah Bay College, University of Sierra Leone in 1982 and returned home to join the Ministry of Economic Planning & Industrial Development as a cadet urban planner. 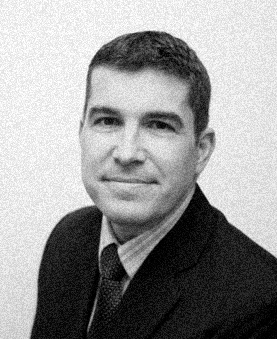 He has Master’s degree in Urban & Regional Planning in the University of Wisconsin, Madison. In 1986, he was seconded to Gambia’s first World Bank financed Urban Management & Development Project as Deputy Project Director then Director. Doudou also rose to the rank of Deputy Permanent Secretary in Gambia’s Ministry of local Government & Lands overseeing its technical departments. Over the past 25 years, Doudou has worked closely with various International Financial and Multilateral Institutions, namely, the World Bank, African and Asian Development Banks and a myriad of UN agencies in project / programme identification, design, implementation management and coordination in several duty stations spanning the African Continent, Middle East and South East Asia. Mr. Mbye’s career as an International Civil Servant started with UN-Habitat (then UNCHS) in January 1995 as the agency’s lead person in a rehabilitation and reconstruction programme in Rwanda following the 1994 genocide and war. 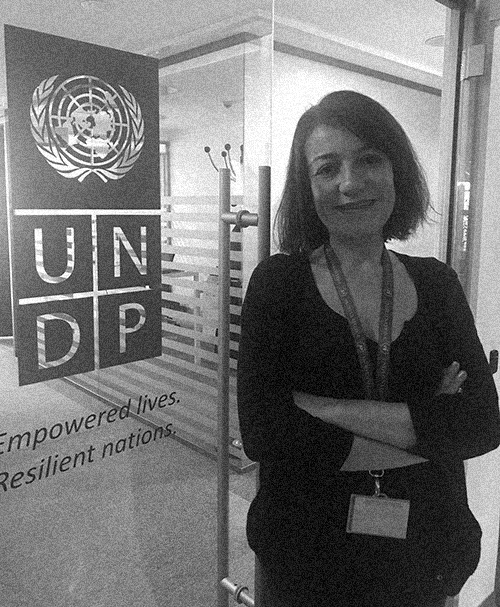 Doudou joined UNOPS as the Regional Programme Coordinator for the Nile River Basin Initiative in Entebbe, Uganda. 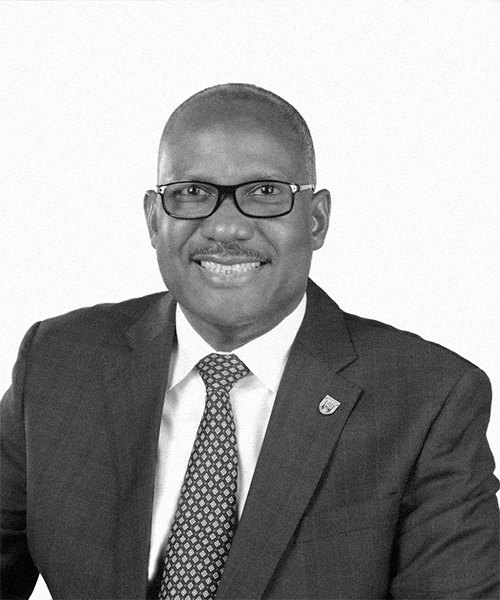 While serving with UNOPS, Doudou focused on business development and resource mobilization to foster sustainability of operations under his purview as Division Chief of the Abidjan Office then UNOPS Regional Director for West & Central Africa. Doudou was appointed Head of UN-Habitat’s Partnerships & Advocacy Branch on November 1, 2018. 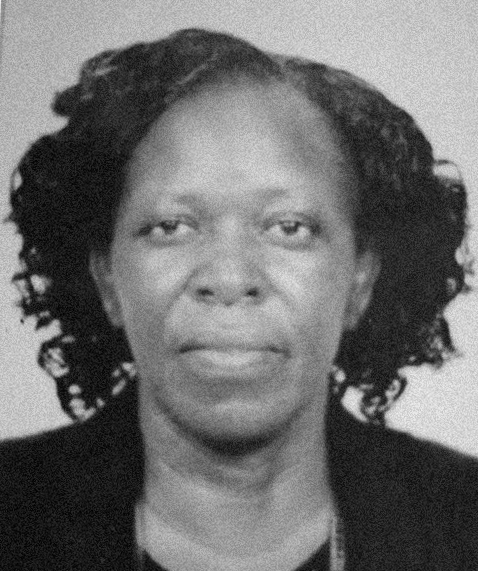 Ms. Doris Ombara is responsible for directing a variety of administrative processes that allow the city to operate. She implements and oversees policies crafted by the city as per the Urban Areas and Cities Act. She also provides city services by establishing and improving a functional structure; delegating authority. She maintains city staff by selecting, orienting, and training employees. She also maintains city staff job results by coaching, counselling and disciplining employees; planning, monitoring, and appraising job results. Doris often serves as the chief liaisons between elected officials and the members of the public the officials are elected to serve. She attends County cabinet meetings and issue reports on policy, budget and other public information to the concerned audience, which largely consists of citizens. Erhan Turbedar was born in the Kosovo in 1975. Turbedar received his Bachelor’s degree in economics from the Gazi University in Ankara. He wrote his master’s thesis at the same university on the economic transformation process in Southeast Europe and he got Doctor’s degree with the thesis on the transportation policies in the Balkan countries. From 1999 to 2013, Turbedar was engaged in different think tanks in Turkey, focusing his interest on the Southeast European countries. 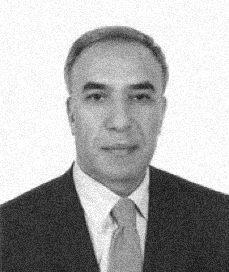 Turbedar served as the Senior Political Advisor at the Regional Cooperation Council - intergovernmental organization based in Sarajevo, and currently he works at the Statistical, Economic and Social Research and Training Centre for Islamic Countries (SESRIC) - a subsidiary organ of the Organisation of Islamic Cooperation (OIC). Turbedar is author of around 50 academic articles and two edited books. 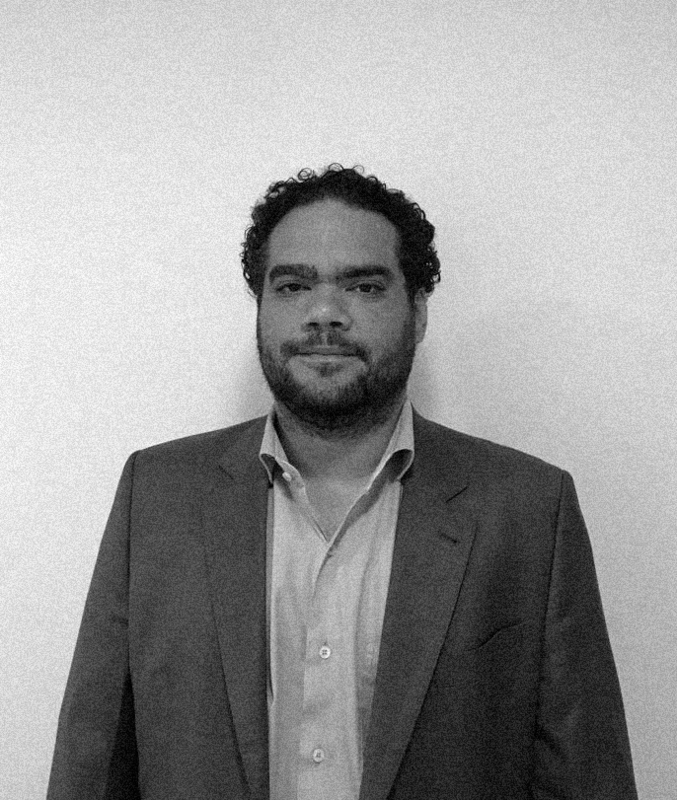 Erick has a degree in Economics and a Master’s Degree in Economics of the Public Sector by the University of Brasilia, he also hold an MBA in Public Private Partnership and Concessions by the Foundation School of Sociology and Politics in Sao Paulo in collaboration with London Scool of Economics. He is the Chief Executive Officer of the Municipal Secretariat of Planning and Coordination in Teresina, Brazil, where he is Responsible for coordinating and controlling the fiscal and budgetary administration of the City, as well as lead city planning, the SDG-Agenda 2030. Previously, he worked in different position in different departments within the Municipal Secretariat in Teresina for example at Concessions and Partnerships and Water and Sewage. Esteban has a background in economics, shelter/housing and settlement program design and management, capacity building, as well as building constructions an reconstruction projects in post-crisis situations and urban resilience building. He has been working for UN-Habitat since 2002 based in Nairobi, Geneva, Panama and Barcelona. 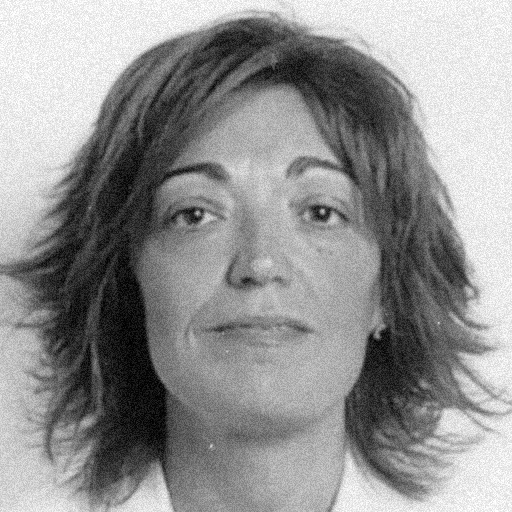 Grazia Brunetta, PhD in Spatial Planning and Real Estate, is Full Professor of Urban and Regional Planning at the InterUniversity Department of Regional and Urban Studies and Planning, Politecnico Torino (Italy). She is the project manager of the Responsible Risk Resilience Centre - R3C of the Politecnico di Torino that works to enhance the resilience transition of territorial systems. Global Resilient Cities Coordinator and Program Manager, ICLEI - Local Governments for Sustainability, World Secretariat. Guilherme currently supports and guides all activities that fall under the ICLEI Resilient Cities strategy. Prior to joining this position, he worked for cities related organisations like Future Cities Catapult and 100 Resilient Cities in London. 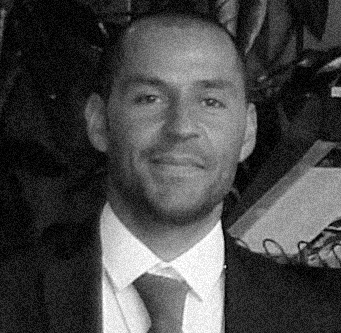 Guilherme has also worked for the UK Foreign and Commonwealth Office (FCO) in Brazil on projects supporting cities and states to improve their urban infrastructure and greening of major events such as the 2014 World Cup and the 2016 Rio Olympics. 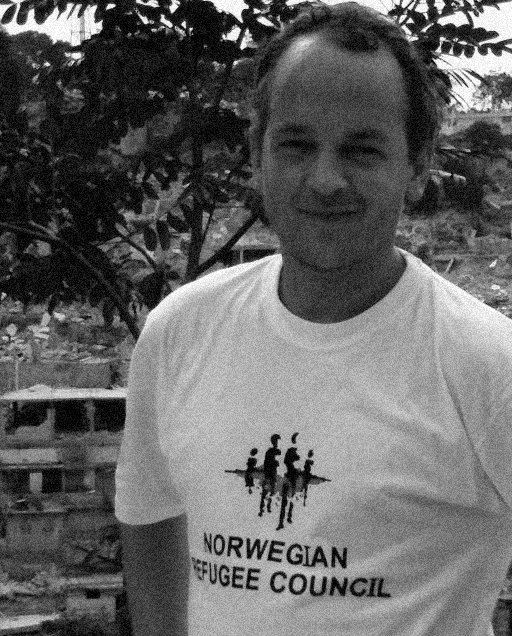 He is an architect and member of the Norwegian Refugee Council’s emergency standby roster, NORCAP. With over eight years of experience of crisis response, humanitarian relief, and development efforts, Håvard has been deployed to United Nations agencies in Haiti, Nepal, Macedonia, Hungary, and New York. 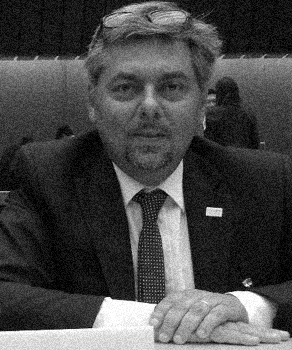 Håvard is currently the Coordinator of the Global Alliance for Urban Crises Secretariat. 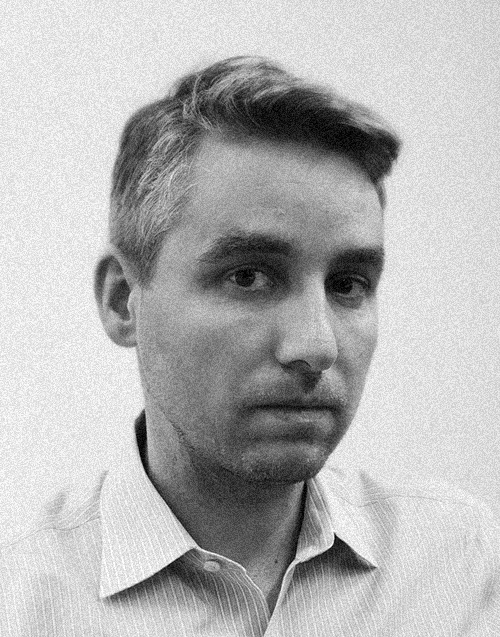 He is also responsible for the Master’s course In Transitat the Oslo School of Architecture and Design (AHO), while serving on the NORCAP roster. He holds a Master’s degree in Architecture from AHO’s Institute of Urbanism and Landscape. He is a medicine graduate from the Universidad Autònoma de Barcelona (UAB) and specialized in Public Health and Epidemiology at the University of Edinburgh (Scotland). He held the UN-Habitat office from October 2010-December 2017. During his mandate, Dr. Clos led the process of elaboration of the New Urban Agenda, and he was appointed Secretary-General of the United Nations Conference on Housing and Sustainable Urban Development (Habitat III). He was twice elected Mayor of Barcelona, serving two terms from 1997 until 2006. He was Minister of Industry, Tourism, and Trade of Spain between 2006 and 2008. 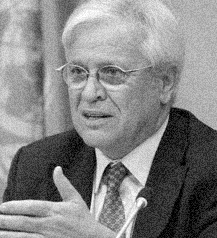 Prior to joining the United Nations, he served as the Spanish Ambassador to Turkey and Azerbaijan. In 2016, he was honored with the Jane Jacobs Medal by the Rockefeller Foundation in recognition of his leadership with the New Urban Agenda. Jordi Morató, PhD in Biology, with 20 years of experience in research, education and management of sustainable human development projects related to resources (water, soil, biodiversity) and circular economy and participatory community development at the local and regional level. Coordinator of the UNESCO Chair on Sustainability at the Polytechnic University of Catalonia since 2008 and one of the founding members of RECNET (www.recitynet.org). Jørn C. Øwre is one of the founding members of the Global Alliance on Urban Crises. His contribution to the development of humanitarian response mechanisms in urban crisis has been focusing on Consolidation and Coordination, Capacity Framework, Knowledge management, Capacity Building, Tools and Guidance and Surge Capacity. He works as a deployment adviser to UN agencies at headquarters level and has previously been the Project Manager for Urban Responses, Sites and settlements in the Norwegian Refugee Council: NRC-NORCAP/ Global CCCM Cluster. He is currently also working for Innovation Norway implementing a new internationalization program called Global Growth, for companies with solutions that contribute towards global challenges. With support from the NMFA, the aim of this program is to serve the global development and humanitarian markets and providing national authorities globally with innovative solutions to sustainable growth and poverty reduction. He has lead the collaboration with UNHCR and IOM from the NRC side to develop new solutions and to respond to mass displacement in emergencies for the last 5 years. He has managed the production of new tools and new thematic approaches for the Global Camp cluster regarding responses to Urban Displacement and Out of Camp Responses. His achievements within Urban development and humanitarian responses are based on a fusion of social and physical structures in the response mechanisms to Crisis. Øwre is centrally placed within the UN coordination of emergency responses within the Global Shelter and CCCM Cluster, the New Urban Agenda and the Urban Track towards the World Humanitarian Summit and the Habitat III. He has managed the NRC/NORCAP response to Haiti and been managing UN deployments to West-Africa. He has field experience from various organisations in both emergencies and development work and as a corporate consultant. He lectures at the Norwegian Universities – the Oslo School of Architecture and Design (AHO) and the Bergen School of Architecture (BAS) and the University IUAV, Venice in architectural solutions in emergencies. He has been a driving force in the development of the collaboration between UN and NRC and the architect schools in Norway as well as European Association for Architectural Education (EAAE). He has managed 197 humanitarian experts deployed to 35 countries the last two years, and in this capacity been ensuring an income of 60M NOK funded by 10 international donors. His academic background is from the social sciences: cand. polit. In Social Anthropology/ Organisational Theory (Cand. Polit. dept. of Social Anthropology UiO)- with main thesis on knowledge in organisations. He holds an additional master’s in leadership and project management in complex organisations from the TIK Centre for Technology, Innovation and Culture and a cand. mag. in Social Anthropology and Political Science from the University of Oslo (UiO). Rob Adams, CEO Six Fingers He is a writer, speaker, founder of Six Fingers and teacher at EADA Business School in Barcelona. Realising corporate startups by applying design thinking is the basis of his fourth book: Versus. Years of research into global innovations and his work with clients have given him in-depth knowledge of how innovation is born and how it can be successfully structured. His former books ‘Branchmarking’ and ‘Cheat’ are about transsectoral innovation. ‘No Ego’ is about unknown people who changed the world. 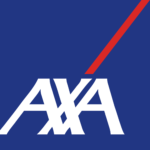 Coordinator in Maputo Architects Without Borders. Master's Degree of Architecture from Polytechnic University of Madrid, Specialized on“Human Settlements in Developing Regions” at UNESCO Chair of Basic Habitability. She has studied at the Balkrishna Doshi’s Vastu Shilpa Foundation in Ahmedabad, India and at Istituto Universitario di Architettura di Venezia, Italy. 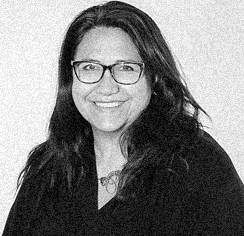 She has worked for Spanish Agency for Development both in Heritage, Vocational Training and Culture for Development Programs in Venezuela (2010), Niger (2011), and Guatemala (2012). 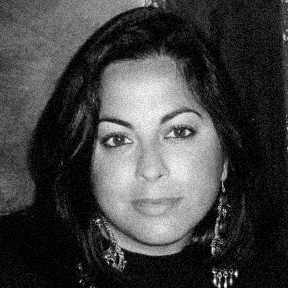 Co-founder of Programa Vaca (2013-2016) where she supported the community construction of several buildings with natural materials in rural areas of India and Mexico. Since 2014 she lives in Mozambique, first working with GIZ as a consultant at the Ministry of Public Works and then coordinating Architects Without Borders project’s on Mobility and Slum Up-grading in Maputo. As a researcher she is developing the concept of “human building” as the attitude to build with and for the people in the limits of the planet. Sebastià Riutort is sociologist. He works for the Area of Social Rights of Barcelona City Council, through the Institute of Regional and Metropolitan Studies of Barcelona, developing innovative programmes combating urban poverty and inequalities such as the B-MINCOME urban innovative action (UIA) and URBinclusion implementation network (URBACT). He holds PhD in Sociology from the University of Barcelona, in which is part-time professor in the field of Economic Sociology and Welfare Policy. 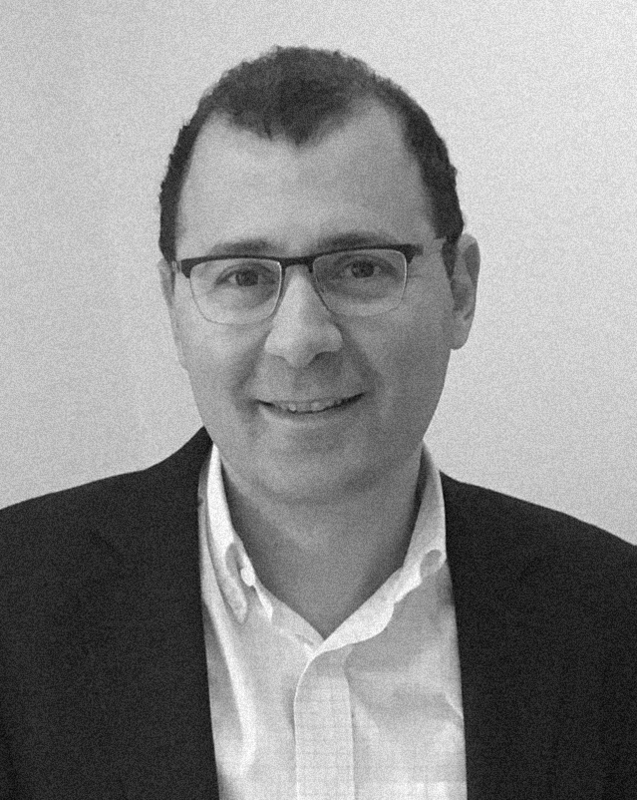 Stelios Diakoulakis has studied Economics at the Athens University of Economics and Business and holds a master’s degree in European Studies from the University of Reading, UK. 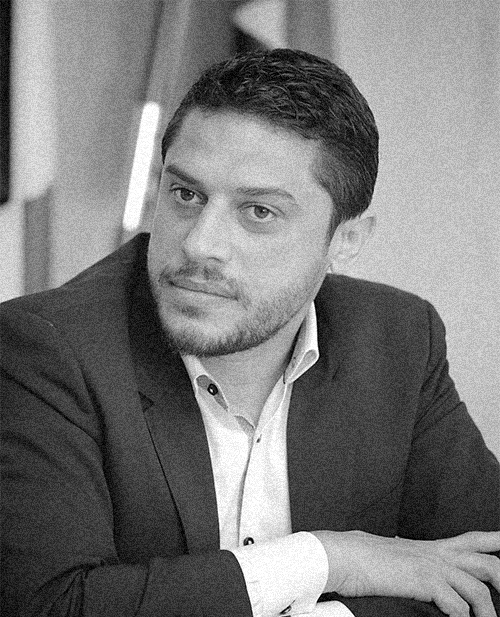 Prior joining C40, Stelios worked as Senior EU Policy and International Affairs Advisor to the Mayor of Athens serving, among others, as the City of Athens primary contact to C40. He has significant experience in European politics on various fields having offered his services for many years in the European Parliament and the Greek Foreign Ministry. Barcelona Resilience Week is posible thanks to the support of our partners and friends.